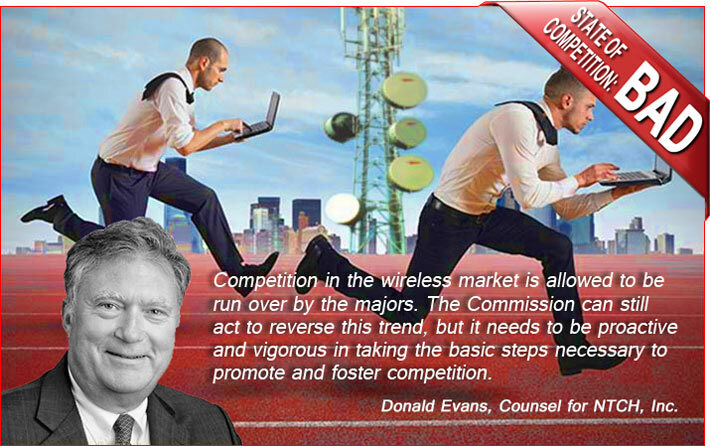 Former wireless provider NTCH’s counsel, Donald Evans, says competition is not alive and well, as claimed by AT&T and Verizon. NTCH believes that Verizon’s roaming rates are onerous and have been detrimental to the success of localized carriers. 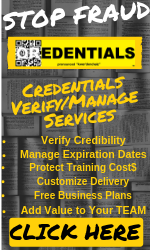 Verizon, who joined other commenters in providing their eleventh-hour submission on the last day of filing, July 26, so that their statements couldn’t be easily refuted, carboned AT&T’s enthusiasm by discussing exploding demand/usage, falling prices, innovative offerings and robust investment. But not everyone filing their comments painted as rosy a picture. In its 45-page filing on the topic, the Competitive Carriers Association (CCA) cautioned the FCC that it should ensure that public safety buildout and rules do not stifle competition. “The Commission should ensure that the FirstNet award to AT&T and the corresponding network build of the first National Public Safety Broadband Network (“NPSBN”) do not stifle competition among carriers,” CCA said. FirstNet should prioritize allowing smaller, competitive carriers to propel buildout in rural and hard-to-reach areas, and ensure this buildout occurs in each service deployment phase, CCA suggested. The trade group for the nation’s smaller wireless providers argued that the FCC should be concerned about two carriers owning almost three quarters of the market. “CCA represents nearly 100 mobile carriers, yet by the end of 2017, AT&T and Verizon represented 70 percent of the market share of wireless subscriptions. The increasing market power of the duopoly poses substantial challenges to the viability of smaller carriers and the competitiveness of the mobile ecosystem. Yet these rural and regional carriers are key players in the expansion of mobile wireless service to underserved or unserved areas of the country,” CCA said. In its submission to the FCC, NTCH said it lamented the reduction in providers over the years and stated that competition in the wireless market has been “allowed to be run over by the majors”. “As the number of carriers has diminished and the breadth of coverage by the major carriers has commensurately increased, the economic incentive for reasonable roaming rates between carriers has vanished,” NTCH said. In its filing, NTCH said the Commission has steadfastly refused to compel larger carriers to charge reasonable roaming rates, despite the directive found in Title II of the Act that rates be reasonable. “The Commission’s consistent unwillingness to fulfil its basic job of ensuring that common carrier rates are just, reasonable and non-discriminatory represents a major failure of its administrative responsibilities,” NTCH said. 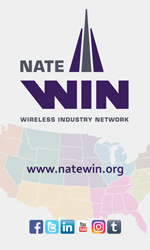 NTCH had previously challenged the Commission’s rules governing disputes over voice and data roaming rates and said that Verizon’s roaming rates were unreasonably discriminatory because they permitted MVNO Straight Talk to offer “predatory low rates to customers in competition with smaller carriers targeting the prepaid market”. In their unsuccessful attempt before the D.C. U.S. Court of Appeals, NTCH had requested that Verizon should be required to charge NTCH “no more that it charges any other carrier for roaming services”. NTCH’s counsel, Donald Evans of Fletcher, Heald & Hildreth, P.L.C., informed Wireless Estimator today that NTCH is no longer providing service, but they have retained their infrastructure to jump back in if the FCC ever makes roaming affordable for small carriers. Other comments to the FCC were provided by CTIA and the Wireless Infrastructure Association.